GlaxoSmithKline makes Ebola vaccine stockpiles as human trials begin. The first human trial for an investigational Ebola vaccine is set to begin this week. The ongoing Ebola outbreak in West Africa prompted the National Institutes of Health to expedite safety testing for several vaccines already in the works. Since March, the deadly virus has killed 1,552 people, according to the World Health Organization, which predicted last week that the virus could infect 20,000 people in the next six months. 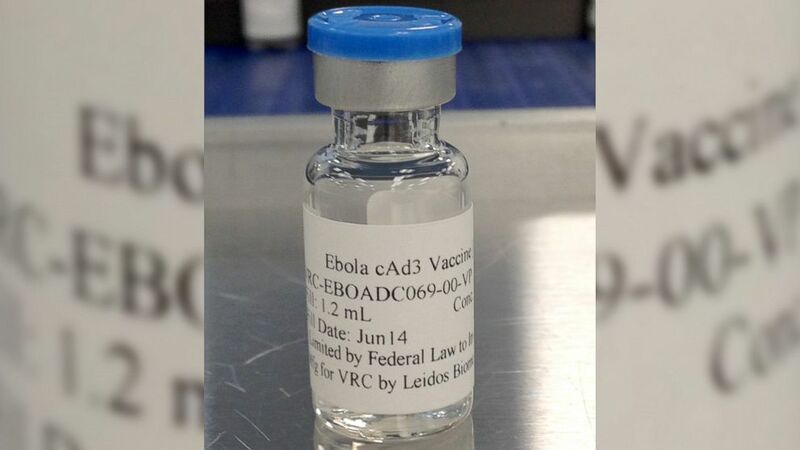 An Ebola vaccine is different from the experimental Ebola drug ZMapp, which two Americans received last month and is designed to treat an existing Ebola infection rather than prevent one. “There is an urgent need for a protective Ebola vaccine, and it is important to establish that a vaccine is safe and spurs the immune system to react in a way necessary to protect against infection,” Dr. Anthony Fauci, director of the National Institute of Allergy and Infectious Diseases at the National Institutes of Health, said in a statement. The NIH is developing the vaccine with pharmaceutical giant GlaxoSmithKline. Although Fauci said the vaccine has “performed extremely well” in primate studies, it has not yet been tested in humans. The phase 1 clinical trial set to begin this week at the NIH Clinical Center in Bethesda, Maryland, will involve 20 human subjects between the ages of 18 and 50, according to the NIH. Researchers will use the study to determine whether the vaccine is safe and see whether it prompts an immune response necessary to protect against Ebola. No human subjects will be infected with Ebola. (NIAID/GSK/AP Photo) An undated photo from National Institute of Allergy and Infectious Diseases and GlaxoSmithKline shows a vaccine candidate that will be used in the upcoming human trials. A $4.7 million grant will also go toward Ebola vaccine trials in September at the University of Oxford in England, as well as centers in Gambia and Mali, according to GlaxoSmithKline. In all, 140 patients will be tested. Though Ebola was discovered nearly 40 years ago, it was so rare that drug manufacturers weren’t interested in investing in finding a vaccine for it, said Dr. William Schaffner, chair of preventive medicine at Vanderbilt University in Nashville, Tennessee. Its rarity also made it impossible for scientists to conduct field studies. GlaxoSmithKline became involved in the Ebola vaccine because it bought Swiss vaccine company Okairos AG in 2013. Okairos, originally a Merck spinoff, had been working on the vaccine with the NIH since 2011, a GlaxoSmithKline spokeswoman told ABC News. Although Fauci said in July that it would take until late 2015 for a vaccine -- if successful -- to be administered to a limited number of health workers, GlaxoSmithKline said in a statement that the grant will also enable it to manufacture 10,000 doses of the vaccine while the trials are ongoing. If the vaccine trials are successful, it will be able to make stocks available immediately to the World Health Organization. The NIH said it should have initial data from the trial in late 2014. The trial for different vaccine is set to begin at the Walter Reed Army Institute of Research in Silver Spring, Maryland. This vaccine was a collaboration between the federal Department of Defense and Iowa pharmaceutical company NewLink Genetics Corp.